Ireland, 1984, 121 minutes, Colour. Brid Brennan, Bosco Hogan, David Kelly. 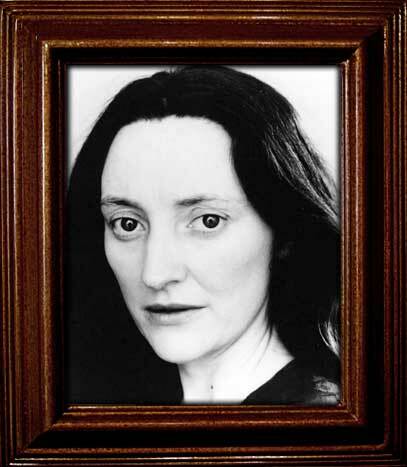 Anne Devlin was the first film to be produced and financed in the Irish Republic. It was written and directed by Pat Murphy who had made a film about contemporary Ireland and the war in Northern Ireland, Maeve. Here the focus is on the Irish Rebellion of 1798 and its consequences. The Rebellion is in the background, as is the figure of Robert Emmett the leader who failed but yet became a significant hero figure during the 19th century. The particular focus is on Anne Dev1in who was Emmett's housekeeper and who was considered in the stories as his beloved or as his servant. The film, according to the director, attempts to demythologise the stories about Anne Devlin and portray her as a strong Irish woman, a woman committed to a cause and persons, willing to suffer, shunned by her co-workers on her release from jail. While the film portrays Anne as an exemplary person, almost saintly in her witness and martyrdom, the film does not surround her with an unreal pious glow. The film is an excellent re-creation of Ireland in the late 18th century, indicates the relationship between the English and the Irish, the spirit of rebellion, the failures of Irish rebellion - but always the focus on a significant woman. 1. A portrait of Ireland in the 18th. century, the background of oppression, the background of rebellion? The causes of oppression and rebellion? Groups within this framework? Individuals and their stances? 2. The quality of the Irish production: the 18th and 19th century villages, the Irish countryside, Dublin, the atmosphere of the period? The portrayal of the Irish: the peasants, the estate people, the gentry, the British? The beauty of the colour photography and lighting, compositions and groups? measured pace and editing? The musical score? 3. The dedication to women, causes, persecution and forgotten history? 4. The Irish perspective: the history of the 18th and 19th century, the role of the British, their occupation, oppression, cruelty? The poverty of the Irish? Religion? The idealism and realism? The involvement of individuals in rebellion? Consequences? The relevance for 20th century Irish history? 5. 1798 and the counties: the families and their fears, prison, informers, murders, trials? Outlaws? The British and their justice? Court sequences? Witnesses, bribery, informants? The harshness of jails? The stances taken? The setting for the rebellion? The Devlin family, the members, their lifestyle? Dangers? The portrait of Anne and the portrait of Julia? The contrasts? Father? Dead body, trial, freedom? The audience led into the atmosphere of the times to understand it, feel it, appreciate the characters and their attitudes? 6. 1803: the family's fortunes? The demands - finance, support, the rebellion? Arthur and his soldiering? Loyalties? Emmet and his plan? The cover? The involvement of Julia? Of Anne? 7. Anne and her age, experience, interest, place in the family, close to them, proper? her being installed as the housekeeper? Her role in the rebellion? The cover? Emmett's courtesy? Explanations? Her involvement? The other members of the committee? Their treatment of Anne? Many seeing her as a servant? Class distinctions? Anne learning about the rebellion, her contribution? The Belfast man, his wife and support? 8. The picture of Emmett and his authority, manner, plan? The maps etc.? His aides and assistants? The negotiations? Allies? The action off screen - the experience and visualising of failure, fear, escapes? Arthur? Emmett and his evading justice? Arrest, executions? 9. The picture of the rebels, alliances and loyalties, imprisonment, the details of torture? 10. The British and the jails, torture, Anne's brother? 11. Anne and her arrest, the isolation, prison, torture and interrogation? Her fortitude? Her honesty? A fine witness? A martyr figure? Her being released? People avoiding her? 12. The value of the film as a contribution to the understanding of Irish history and contemporary Irish problems?